Hey Mark, I' asked for this also. Purchased Paint Shop Pro 2019 because it has a cool, slick, easy module for add a border, not the jerky way Affinity Photo woks. Check out the Trial version of Paint Shop Pro and you'll see what I mean. I love Affinity Photo and canceled Photo Shop CC which I used for years back in the version 1.0 days. Hope the put this in on this next release. Below is the PSP 2019 dialog box. The effects panel offers to add border, shadows etc. 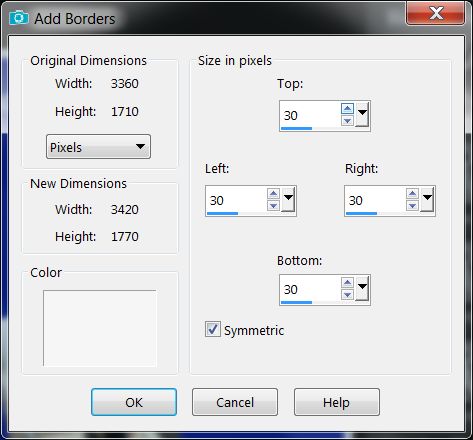 If you resize the canvas you can apply own borders or fills on layers. Further you can make a custom macro for reuse and applying borders. If you just want to add white borders use Document>Resize Canvas... If you want to have thicker border at the bottom you have to do it twice to add extra to the bottom. Don't see where you can add a border in Effects. I see inner and outer shadwos and a few othet things but no border function. Am I missing something? Try the Outline layer effect.